Moab's World Famous Rock Shop! As a general rule, I have zero interest in shopping when traveling, with the one exception of rock shops! The dustier, the better. I rarely buy anything – I already have far too many rocks, most of which I’ve found myself – but I love to look. 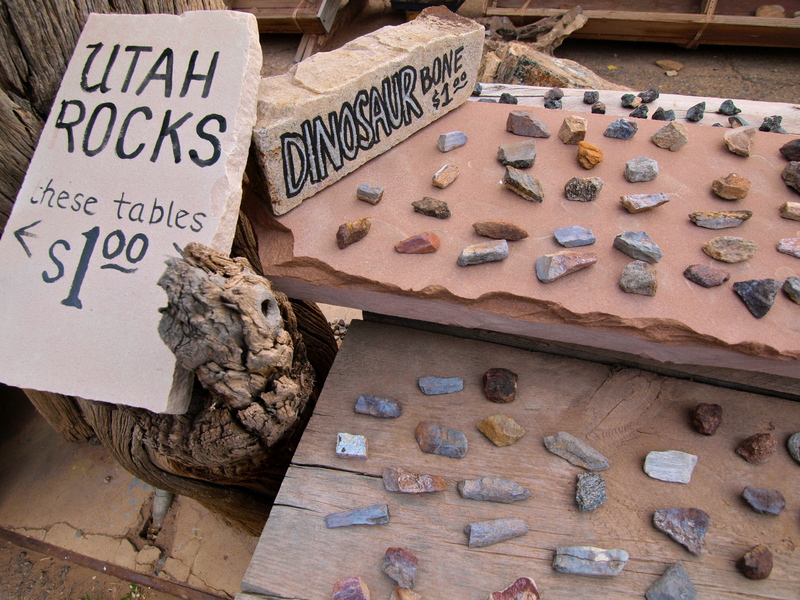 You can learn a lot about a place by perusing the local rock shop! The proprietors are also often good for local hiking tips. 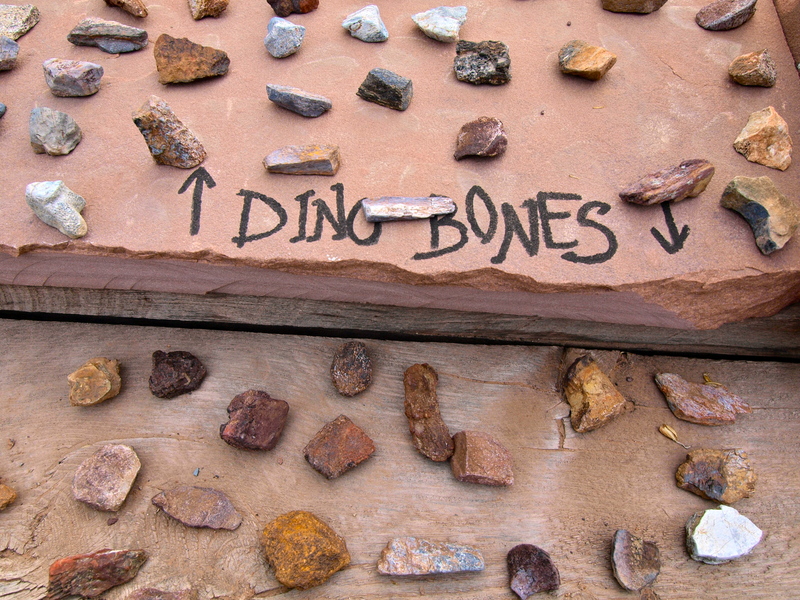 While in Moab, of course I had to stop by Lin Ottinger’s World Famous Rock Shop. Lin has been collecting rocks all over the world for more than 50 years. 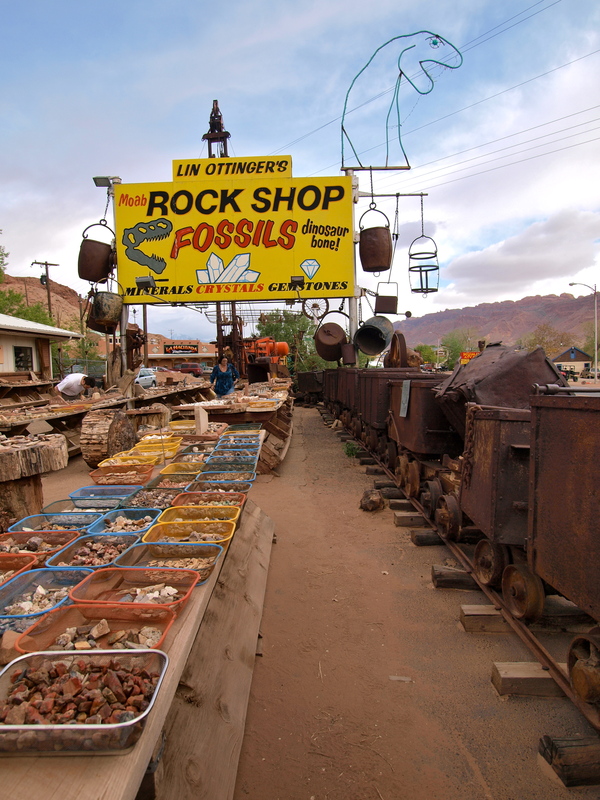 His shop has no shortage of treasures from local rocks, minerals, crystals and fossils to worldly, exotic and rare specimens; a veritable candy store for this rock-loving kid! Shouldn't they be a dollar each? 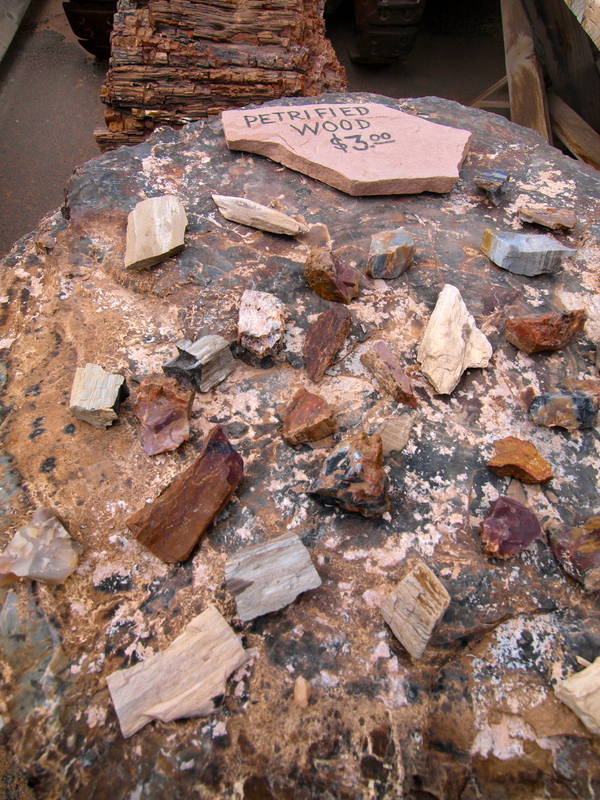 Petrified Wood. Notice the pieces are sitting on a massive petrified tree trunk. Gotta love a place that still runs on the honor system! This entry was posted in Photography, Road tripping!, Uncategorized, Vagabonding 101. Bookmark the permalink. 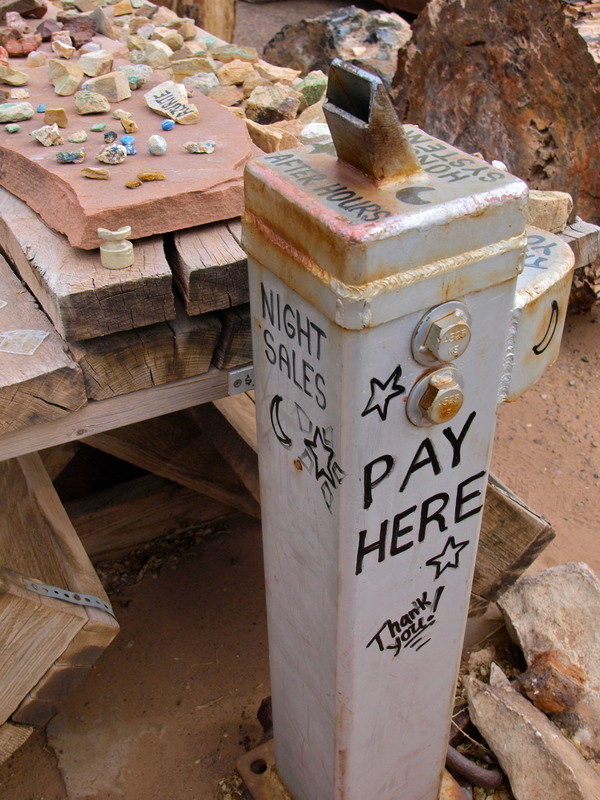 13 Responses to Moab’s World Famous Rock Shop! What a great place! Your first shot is excellent – somehow it breathes of Vegas or Reno – I wonder if this is the kind of look they had when first coming into being. It was the same store front 30 years ago. 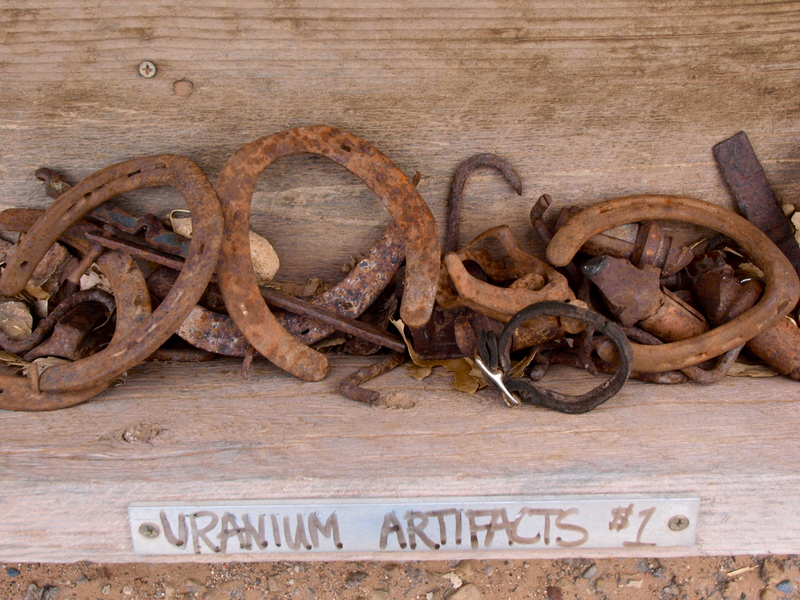 Best attraction for rockhounds and info on a certain kind of rock you may have seen in the area. A very cool stop over. Our visit to Moab happened to coincide with the annual Jeep Safari. So we didn’t spend much time in town and that means we missed this gem. Yet another thing for next trip. Nice set of shots and, yes, you have gotta love a place that still works on the honour system. You’re spot on about rock shops and their knowledgeable owners! Gorgeous pics. We love all those Red Rock parks. Arches is amazing but Capital Reef is my personal favorite. Great pics on all your posts. Sorry about the misinformation about the sand dollars. 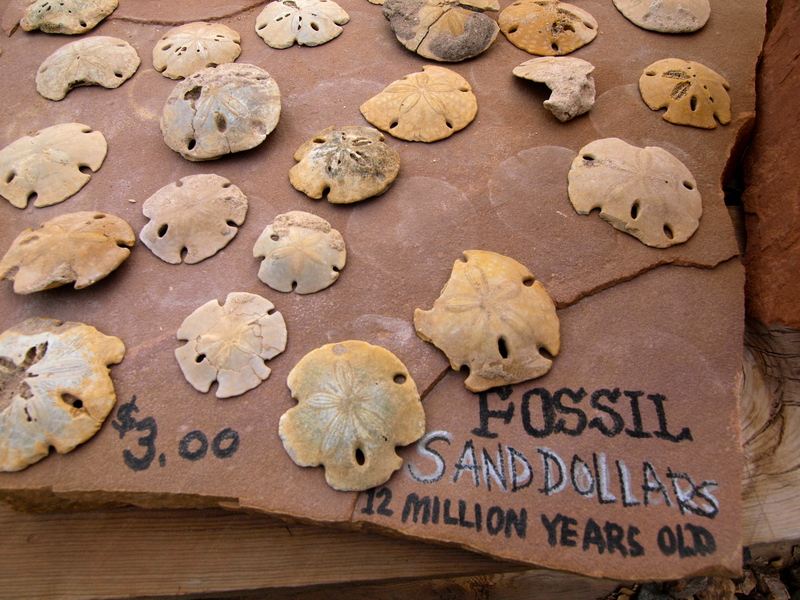 Since I found these beautiful fossils in Mexico, They must be “Sand Pesos” ! I have found what appears to be a small monkey head fossilized and can’t find anyone interested in it can you direct me to someone who might tell me exactly what I’ve found.where can u send a picture.itself is very interesting..I have a lot of beautiful rocks as well.